Hair is the most prized possession of every girl. It actually chills her to the bone even at the sight of few strands of hair fall. One of the most important parts of hair styling is brushing. The right brush can help you massage your scalp, stimulate oil glands and at the same time clean hair shafts and follicles to keep your hair dandruff free. Indians too seem to be quite of an enthusiast in this market. Hence, we have come with a list of 10 hair brushes perfect in detangling all hair types in India. Read on! Roots professional brushes with ceramic are the perfect brush to set the most trendy hairstyles every time. 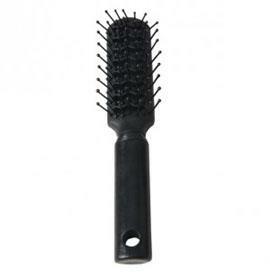 Ideal for both men and women this roller brush is waterproof and highly durable. The brush also helps you create flips and bang. Vega Premium Collection Paddle Brush in another popular hair brush brands in India. The brush is made of nylon bristles with stay-put ball tips that easily penetrate your hair and comfortably massage your scalp. It also helps reduce snags and tangles. Bare Essentials Volumising Brush is suitable for all types of hair. This unisex roller brush works perfectly on hair sprays without any damage and let you experiment with different styles. Use it to detangle knots and flatten long locks to add luster to the hair. 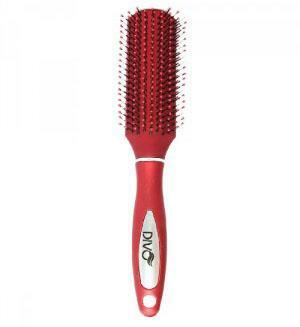 Divo Vent Brush is a best hair brush brand in India. The daily detangling and styling hair brush accelerates the blow-drying process and allow warm air to circulate directly at root level thereby reducing potential damage to the hair. 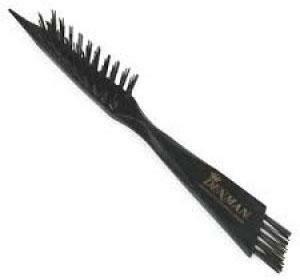 Denman DCB1 Cleaning Brush helps you shape your hair with the trendiest look. The pointed end of this brush makes it easy to clean. The stiff bristles easily penetrate through any type of hair brush and clean it thoroughly thus keeping your scalp hygienic. 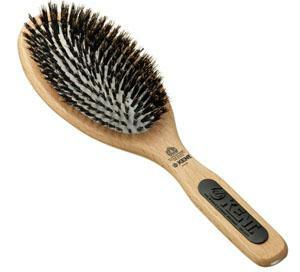 Kent Paddle Brush is one of the best detangling hair brushes in India. It is ideal for smoothing and straightening hair to give it a healthy and shiny look. 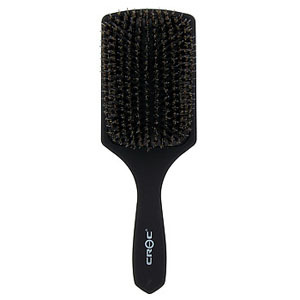 The brush prevents split ends and penetrates the scalp to strengthen hair roots. 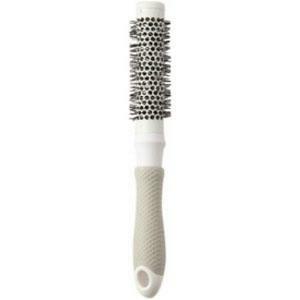 Ceramic and ion big round brush is a lightweight hair brush made up of fine bristles. 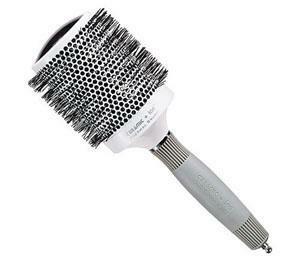 The shaft is ceramic coated and the ion charged bristles lead to shiny lustrous hair. The ceramic property of the brush eliminates frizz and get you your desirable hair style every time. 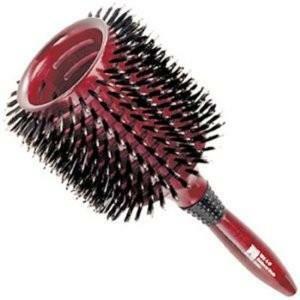 Goody Finish Paddle Brush is another detangling hair brushes in India. The brush is known for its anti-slip grip properties and anti-static bristles. It is the best solution for painless detangling of hair knots and keeps it soft and dandruff free. 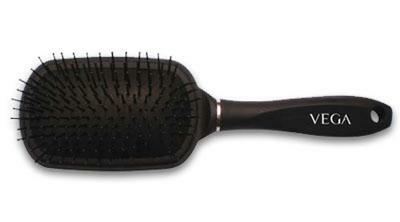 Croc Boar Bristle Paddle Brush is one of the leading hair brushes in India. 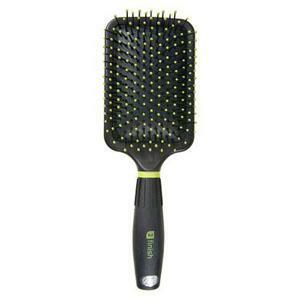 This anti static large paddle cushion brush is considered most ideal for mousse and gel distribution in the hair. It works perfectly fine on wet and dry styling. Phillips Monster/Vent Brush is a professional brush with comfortable rubber grips for easy styling. The brush features a vented barrel that helps reduce weight and allow the maximum flow of air to keep the roots strong and add luster to the hair. We also have in stock the collection of the best hair sprays in India.